The Council for Higher Education (CHE) approved the continuation of the program for Haredim for the next five years – through 2022. As part of this effort, the CHE has set a goal of continued growth, from 11,000 Haredi students to 19,000, while emphasizing academic quality and expansion of academic programs. The decision to continue the program was made, for among other reasons, in light of the impressive achievements of the program, which was implemented in the previous five-year period (2011-2016). These achievements include an 83% increase in the number of Haredi students, an 80% increase in the number of academic programs for Haredim, and the operation of 19 academic frameworks for Haredim, compared to only five before implementation of the previous five-year plan. A joint CHE and PBC Steering Committee, headed by PBC member Yishai Fraenkel, was in charge of drafting recommendations for the policy. When doing so, the Steering Committee relied on, among other things, data from research conducted by Dr. Gilad Malach (Director, Ultra-Orthodox in Israel Program, The Israel Democracy Institute), Dr. Lee Cahaner (Researcher, The Israel Democracy Institute) and Mr. Eitan Regev (Senior Researcher, Taub Center). 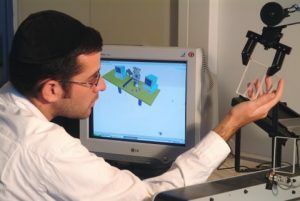 It also relied on the survey, Perceptions of the Haredi Public towards Academic Studies, conducted by Mr. Asaf Malchi and the Dialog Institute, which surveyed approximately 1,000 Haredim. Approval of the program was preceded by a public hearing, which lasted four months, and as part of which the CHE published, Draft of the Multiannual Plan for the Next Five-Year Period, and the study about the previous plan. On May 24, 2016, a public conference was held to present the policy proposal for the next five years. In July 2016, the CHE held an oral hearing to receive feedback from the public on the policy proposal for the next five-year period. Over 30 speakers presented their positions. Additionally, at the same time as the oral hearing, the CHE also held a written hearing, as part of which the CHE received almost 100 responses. After the public hearing period ended, the insights were examined along with additional research activity that focused on integration of Haredim in academia and the labor market. This was done to obtain factual data regarding the level of education at Haredi institutions and regarding the necessity of gender segregation in order to promote integration of Haredim in academia and the labor force. Note that the Haredi public in Israel is characterized, among other things, by significant knowledge gaps relative to the general population, which make starting academic studies difficult for them. These gaps are mainly caused as a result of the exemption on core studies in high school, and they are what justify the establishment of special academic programs that are adapted to address these gaps. The study and the opinion poll indicate that without gender segregation, 70%-80% of the Haredi population would not consider academic studies. However, gender segregation is kept to a minimum, only when necessary, while ensuring that basic values related to equality, safeguarding academic freedom and preventing discrimination.